Juniper Networks, an industry leader in automated, scalable and secure networks has announced several breakthrough additions to its cloud and virtualized service offerings as part of its Software-Defined Secure Networks (SDSN) framework. These enhancements include a new compact and containerized virtual firewall called Juniper Networks cSRX, a next-generation firewall providing advanced security services for Software Defined Networks, as well as a multi-core version of the Juniper Networks vSRX, the industry’s fastest virtual firewall that is expected to be capable of reaching 100 Gigabits per second (Gbps). This speed is 10 times greater than the nearest competitor and creates new possibilities for using agile and flexible virtual firewalls. As the scale and sophistication of threats continue to increase, next-generation security must be built around automated and actionable intelligence that can be enforced quickly to reduce risk and protect the network and its users. 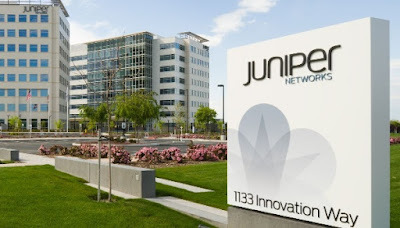 Juniper’s vision for SDSN looks to tackle this need with an open threat intelligence platform and enforcement through its robust suite of physical and virtual firewalls, as well as network switches and routers. When combined with an open policy engine and global orchestration, users can set and enforce policy based on intent, either on premises or in the cloud. Juniper is extending its SDSN offerings by unveiling the industry’s first virtual firewall in a containerized form factor. The cSRX is expected to provide a cost effective way to wrap advanced security services around every workload and the ability to scale up to high multi-tenancy. Additionally, Juniper is announcing a massive increase in performance on its vSRX, which further extends its lead as the industry’s fastest and most scalable virtual firewall. Both products are anticipated to enable the network to better detect and combat threats through increased performance, intelligence, and a higher density of services on the Intel® Xeon® processor family (x86 platform). These enhancements to Juniper’s virtualized security portfolio extend the network and security administrator’s ability to provision and scale firewall protection, enabling more enforcement points across the network to stop threats faster.